How to design a Science Museum? Divide the exhibits in proper sections so that people can view the desired sections with ease. Presenting and displaying information in a way that helps people understand what the exhibits are all about. 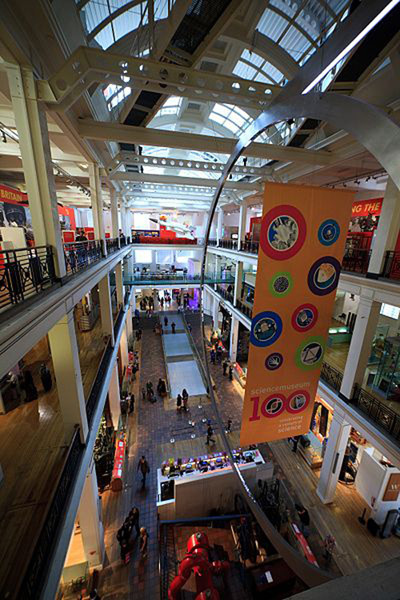 The purpose of creating a museum is to give the visitors a feel of the world of science. Therefore the journey of a visitor through the museum should be continuous and undisturbed by spaces that distract a person from the exhibits. Thus, the administration area should be removed from the exhibition gallery areas and should be located in a secluded space away from the crowd. The people working in the offices should be able to access their work area directly without facing the necessity of going through the museum galleries.